Improvements in technology regarding the use of Aluminium strip in transformers have made Aluminium-wound transformers the ideal choice for today’s applications. 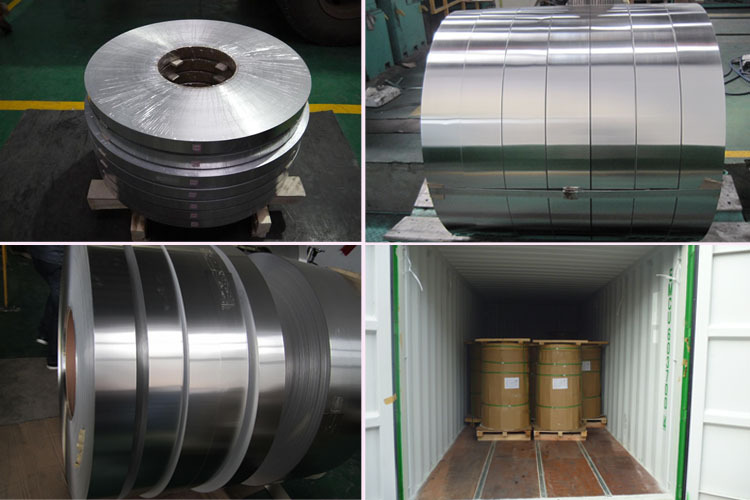 1060 Aluminium strip for transformer with high precision is widely used in transformers.It has good forming property,high corrosion resistance,good weldability and conductivity. Excellent silvery white luster,beautiful appearance. 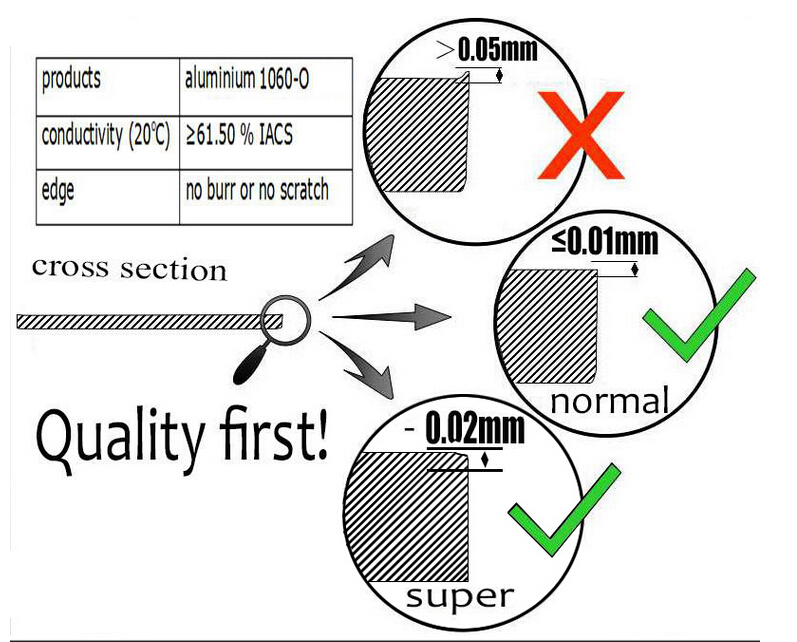 There is no burr on the edge of 1060 aluminum strip for transformer with high precision.Surface atomization treatment makes the surface of 1060 aluminum strip for transformer with high precision get to a brighter and cleaner level. 1060 aluminum strip for transformer with high precision has always been to maintain industry leading position with the domestic leading technology.Rational design and renovation without changing the precision of the 1250 highspeed slitting line make the height of burr less than 0.01 mm and the side camber lower than the standard of industry to enhance the commonality.Processing capacity and scope also increase accordingly.